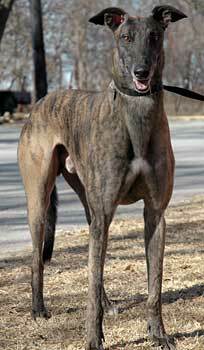 Impala, aka Impala's Best, is a dark brindle male born on Feburary 12, 2001. Impala has 102 races to his credit, with a career that began in October of 2002 and ended in December of 2005. 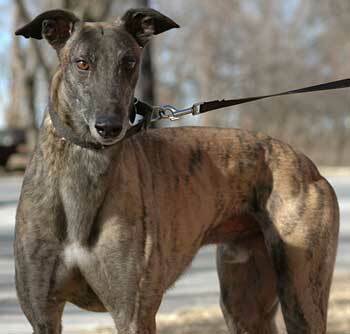 His dam is River Impala and his sire is Molotov, a two-time record holder and famous greyhound sire. 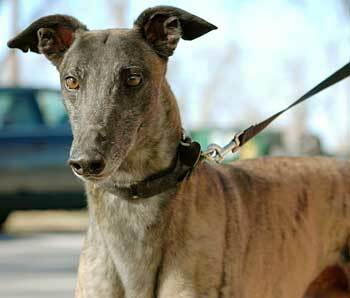 Impala's racing days have ended, so this handsome boy is now ready for a place to call home. It is not known at this time if Impala is small animal or cat tolerant.